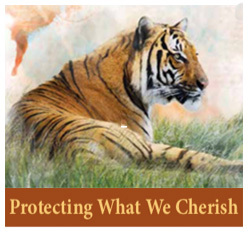 The North Carolina Zoo Society provides critical support for Zoo programs that protect the health and well-being of animals living inside the Park and that offer protection for rare and endangered species living in the wild. Every time you send a child to a Society camp or attend a VIP tour or buy an adoption package or, especially, donate to our annual fund, you help protect the Zoo’s future and the future of the animals that it cares for. This year, your support is more important than ever, because the Zoo is in the midst of its most ambitious and largest expansion plan—a plan that will add Asian, Australian, and South American habitats to the Zoo. Asia will unfold first, bringing Tigers, Komodo Dragons, Red Pandas, and other species to the Zoo and opening up opportunities for Zoo staff to head into the field to protect these species in the wild. Every step of the way, the Zoo’s curators, educators, rangers, and visitor service personnel will be looking for ways to make your future visits more exciting, more fun, and more educationalthan ever before. Please support the Zoo's efforts to expand its protection of the wildlife, the wild places, and the wildly wonderful learning experiences that you and your family have come to cherish over the years. Please select a pre-set donation level below and then click the "Add to Cart" button. You will then be linked to our secure donation processing site. If you would prefer to donate an amount not listed above, please enter that amount in the field below and then click the "Add to Cart" button. Please note that the minimum donation is $5.00. You will then be linked to our secure donation processing site.